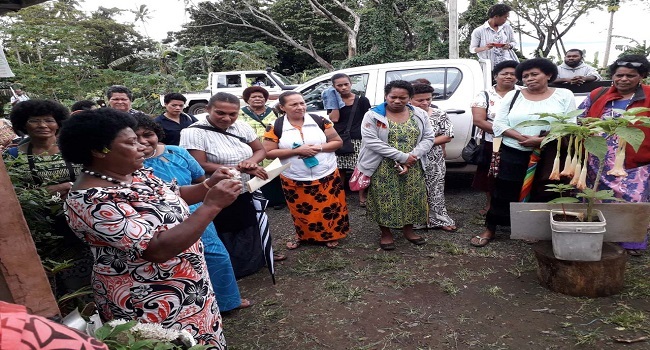 The Ministry of Agriculture in its efforts to empower women in Agriculture held a training for floriculturists in Taveuni. Agriculture Officer in Taveuni, Anare Leweniqila reminded participants of the importance of women engagement in such enterprises. Flowers are symbols of peace, of hope and new beginning and passion and this training is to empower women to be better entrepreneurs. Women and floriculture Leweniqila says are synonymous and it’s time that women in Taveuni involve themselves to further develop the potential available in floriculture as a business. Florist, Elena Marama says the training has broadened her knowledge on floriculture.